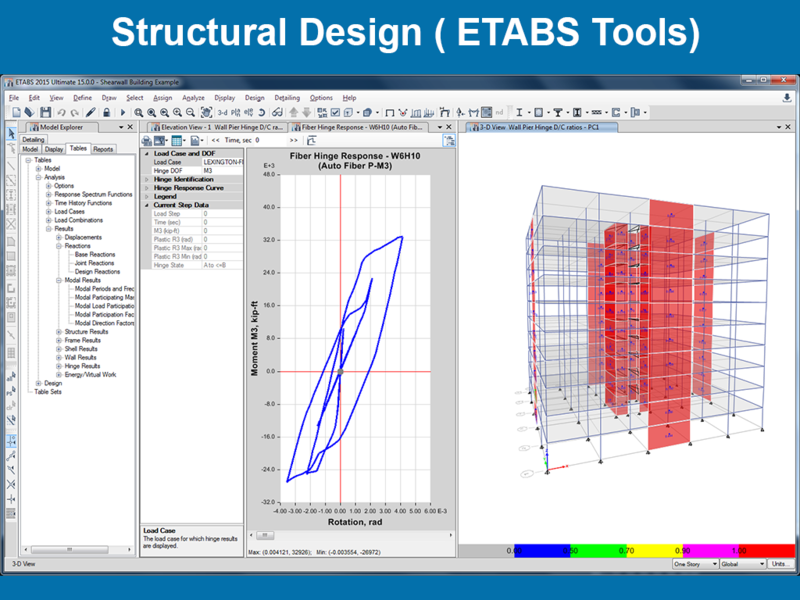 ETABS is a special purpose building design tool which has the ability to handle the largest and most complex models configuration. it is an efficient tool to convert your ideas into designs and also enhances the ability to learn geometry of building systems. ETabs is well equipped to handle simplified lateral procedures, Push-over analysis, Response Spectrum Analysis and Response History Analysis. A civil engineer is required to have complete knowledge about developing a design virtually. But we believe an engineer needs something more than that to strive in an industry. This course is a part of Ready-for-Industry courses, which aims to make, the engineers, adept with scenarios in a company. The outcome of such courses is to give that extra edge to the students where in a company views them as the right candidate. 1. You will easily create models using objects and can understand the concepts when editing and creating complex models. 2. You will be able to recognize story levels and be able to input building data in a logical and easy manner. 3. You will be a productive, innovative, and communicative engineer, with an ability to work with people spanning different disciplines.